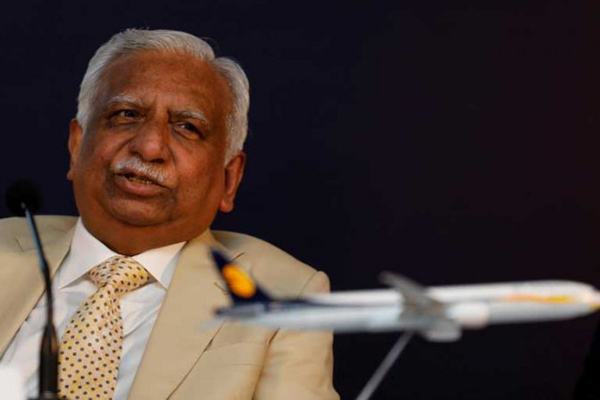 Naresh Goyal's resignation is likely to pave the way for potential investors to save India's oldest private carrier, reported BBC. They were held back by Goyal's reluctance to give up control of the company, it stated. Jet's debt exceeds $1 billion and the airline has grounded some flights as it is struggling to pay employees, suppliers and leasing companies. Within minutes of Monday's announcement, the company's stock jumped 12 per cent. The banks, led by State Bank of India (SBI), will take a controlling stake in the airline, pump in Rs15 billion ($217.65 million) in immediate funding, and form an interim management committee to manage the airline, said Reuters in its report. In a stock market filing which also announced the resignation, the company said that banks would also convert the debt they are owed to equity, reducing Goyal's controlling stake in the company. Goyal and his family currently own 52 per cent of the airline. It's unclear how much they will eventually retain but they will lose their majority stake to the banks, said the report. Jet, battling acute financial woes estimated to be more than Rs8,000 crore, is looking at all possible options. The liquidity crunch has not only forced the airline to ground aircraft leading to cancellation of several flights, it has also caused delayed salary payments to its pilots, engineers and other senior staff. A pilots' organisation has already warned that its members would stop flying for the carrier if their salaries were not paid by the end of March.